Premium Drinking Water Systems are top of the line and provide the ultimate drinking water for you and your family. RainSoft drinking water systems are noted for being highly efficient and effective when it comes to delivering superior drinking water that your family relies on. The Ultrefiner II utilizes three high quality multi-stage filters designed to address virtually any drinking water concern. 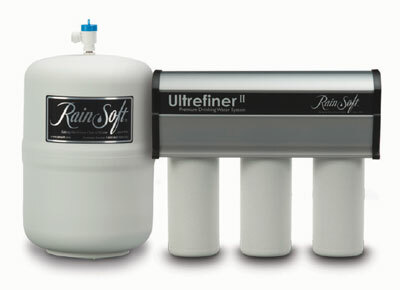 Your local RainSoft dealer can help assist you in selecting a system thatbest fits your water concerns and local water conditions. Reverse Osmosis Premium Drinking Water System Provides confidence in knowing that you’re giving your family the best drinking water system available. RainSoft drinking water systems are noted for being highly efficient and effective when it comes to delivering superior drinking water that your family relies on. The Ultrefiner II utilizes three high quality multi-stage filters designed to address virtually any drinking water concern. 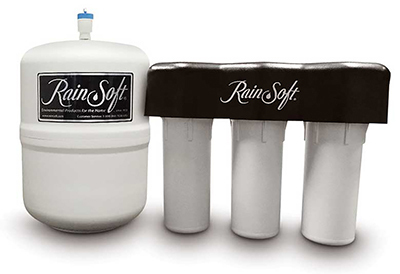 Your local RainSoft dealer can help assist you in selecting a system that best fits your water concerns and local water conditions. Sign up fo a FREE no obligation water test and find out! Learn how better quality water can improve your life.